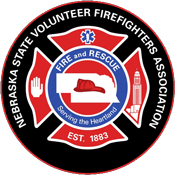 2) To represent the interests of the State of Nebraska Fire/Emergency organizations in the Legislature of the State of Nebraska and with other agencies involved with the preservation of lives and property of the citizens of the State of Nebraska, thereby fostering good will and fellowship among the members of the Fire/Emergency services in the State of Nebraska. SECTION 1. This organization shall be non-discriminatory, non-sectarian, non-partisan, and nonprofit. SECTION 2. No part of the net earnings of this organization shall inure to the benefit of, or be distributed to its members, directors, officers, or other private persons, except that the organization shall be authorized and empowered to pay reasonable compensation for services rendered and to make payments and distributions in furtherance of the purposes set forth in Article TWO. SECTION 4. Any member of the Board of Directors of a Suburban Fire Protection District or Rural Fire Protection District whose District is in good standing with this organization may become a member of the organization upon payment of annual dues for such individual membership as set from time to time. The individual member will be issued a membership card and be entitled to all rights and privileges of this organization. SECTION 5. This organization shall have the power at its annual conference to elect such person or persons as honorary members as the organization may see fit and proper, and said honorary members shall be exempt from the payment of dues but shall have no rights or privileges of this organization unless specifically granted by this organization as if such person or persons were dues paying members. SECTION 7. Any individual person interested in fire prevention, firefighting or being in contact with fire departments may become a guest member of this organization upon payment annually of a sum set from time to time payable in advance of the annual conference of this organization and shall be entitled to a guest membership card but shall not be entitled to vote and shall not be entitled to participate in discussions of this organization. SECTION 8. Any company with interest in fire prevention, firefighting or being in contact with fire departments for sale of fire equipment may become a guest member in this organization upon payment annually of a sum set from time to time payable in advance of the annual conference of this organization and shall be entitled to a guest card for one (1) of its members, but shall not be entitled to vote and shall not be entitled to participate in discussions of this organization. SECTION 2. Guest membership fees for those desiring such membership pursuant to ARTICLE FOUR SECTION 7 or 8 shall be set by the Board of Directors at its annual meeting and the same will take effect at the start of this organization’s fiscal year. SECTION 3. The Board of Directors will present at the annual conference of this organization the proposed dues structure that will take effect at the start of this organization’s fiscal year with an explanation of the reasons for any increase in dues and with those qualified to attend the annual conference of this organization having the opportunity to comment and discuss any increase in dues contemplated by the Board of Directors of this organization. SECTION 1. The governing body of this organization shall be the Board of Directors, which shall be nominated, elected and constituted as described in these By-Laws. SECTION 7. The Board of Directors shall prepare the annual budget of this organization for the next succeeding year following the annual conference of this organization. The budget will be published in the official publication of this organization within one hundred twenty days (120) of the annual conference. (Amended 10/18/08 removing Nebraska Smoke Eater as “official publication”). SECTION 8. Any reference to the Board of Directors and / or the Executive Board shall be considered to one and the same reference within this organization. SECTION 1. The fiscal year shall commence on the 1st day of July and shall end on the last day of the following June. SECTION 2. The Secretary/Treasurer shall make a full annual report to the Board of Directors at its annual meeting. The Secretary/Treasurer will prepare a summary annual report to be presented at the annual conference of this organization held the third (3rd) week of October of each year. SECTION 3. The Board of Directors will secure an independent review of the financial records by a competent accountant or auditor within thirty (30) days after the close of the Fiscal Year. The independent reviewer will report to the Board of directors at its annual meeting. SECTION 2. The term of each Officer shall be one (1) year. (i) Shall perform such duties customary to such office. (d) Shall perform such duties as customary for such office. (c) In conjunction with the President and First (1st) Vice-President, work with Standing Committees, Special Committees, and Area Representatives but not be a member of any Standing Committee and not be an Area Representative EXCEPT, the Second (2nd) Vice-President shall be a member of the Education and Fire School Committee. (b) Provide all record, files, letters of value to the Office of the Executive Director / management firm, to be place with all other official records of the this association. (e) Secure all invoices and vouchers submitted from the Office of the Executive Director / Management fire for payment. (l) Work closely with the Office of the Executive Director and or management firm, to furnish for elections a complete list of those members of this organization who have paid their dues and who are entitled to a seat at the organization s annual conference no later than 9:00 P.M. of the day before the annual conference of this organization. (a) Report to the NSVFA First-Vice President. (b) Be responsible for all Area Representatives in their area which shall include appointment and filling of vacancies of Area Representatives in their respective District areas and assurance of effective and timely communications to the Area Representatives in their area. Email is an effective tool of communication and it will be necessary for every Area Representative appointed to have a working email address. (c) Coordinate and insure NSVFA representation at as many fire/rescue meetings in their area as possible. (d) Attend NSVFA Executive Board meetings and help set policy for the NSVFA. (e) Attend Area Representative semi-annual meeting at the Nebraska Fire School. (f) Be in full compliance with their responsibilities per the NSVFA Constitution and By-Laws, Article Six- Board of Directors. (g) Shall attend annual conference and present a report to the membership. The position of the Executive Director of the NSVFA shall be an employee / and or management fire, hired by the Board of Directors of this organizations from which time the directors feel the need for such a position is warranted. The said director / management firm, shall report directly to the Board of Directors of the NSVFA. The director / management firm, shall take direction from the President of NSVFA and be a non-voting member of this organizations Board of Directors. (a) Manager the day to day business of the NSVFA. (b) Manager office staff and hire an Administrative Assistant if deemed necessary (of which will require the approval of the Board of Directors). (c) Set office policies and procedures with the approval of the Board of Directors. (d) Maintain financial management of the association (i.e.) receipts and disbursements. (Forward payment of bills to the office of the Secretary / Treasurer, make deposits, control payroll, payroll taxes, membership receipts and the management of grant monies of which the organization may have from time to time). All payments of bill and vouchers shall be done by the Secretary / Treasurer. (e) Help develop and adhere to a budget. (f) Keep an open line of communication between the office and the Board of Directors of the NSVFA, and work closely on all NSVFA matter with this associations President. (g) Attend Board of Directors meetings and provide them with an Executive Directors / management firm report. (h) Attend Fire School committee meetings and may need to attend other NSVFA Committee meetings as deemed necessary. (i) Attend major events of this Association of which will include the Legislative Breakfast, Nebraska State Fire School, Nebraska Fallen Firefighters Memorial Service, Annual Conference and any other major events of which the Board of Directors may deem necessary. (j) Assist with the development of the organizations goals, the strategic planning of the Association, the education of it’s membership and the recruitment and retainment of our membership. (k) Maintain all official records and documents of this Association. (l) Promote the Nebraska State Volunteer Firefighters Association. III. Constitution, Bylaws, and Rules Committee, which shall consist of three (3) members. Education and Fire School Committee, which shall consist of eight (8) selected members of the organization’s members in good standing, and the First (1st) Vice-President and Second (2nd) Vice-President of this organization and the President of this organization, neither of whom shall serve as chairperson. (c) The President of this organization shall name the chairperson of each Committee. Each member shall serve one (1) year or until their successor is appointed. Each Committee member shall be a member of this organization in good standing at the time of appointment, guest members are not included. (d) Each Standing Committee chairperson shall be responsible for preparing a written report of the Chairperson’s Standing Committee’s activities to the Board of Directors of this organization and the membership of this organization at their annual conference. It shall be the duty of the Legislative Committee to monitor activities of the Nebraska Unicameral and the Governor of the State of Nebraska and actively lobby for legislation which is for the betterment of this organization as directed by the President and the Board of Directors of this organization. This Committee shall report their activities at the annual conference of this organization and may do so through this organization’s lobbyist. (c) Select and appoint a Fire School Planning Committee composed of representatives from sponsoring agencies. (d) Call all Committee conferences at such times and places as the Committee may deem necessary for Fire School purposes. The expenses of such conferences shall be paid from a Special Fire School Fund. (e) The Secretary/Treasurer of this organization is delegated to receive all monies contributed to or belonging to the Special Fire School Fund and disburse said funds under the authority of this Committee. (f) It shall have the authority to collect or cause to be collected all monies for educational and Fire School purposes and all monies so collected shall be placed in a Special Fire School Fund. A proposed budget will be submitted to the Board of Directors for publication by February 1 of the fiscal year. The committee shall expend and supervise the expenditure of money from said fund for Fire School purposes. This organization’s Director to the National Volunteer Fire Council will be an elected position for a three (3) year term and the election will be as Officers of this organization are elected. SECTION 1. There is created a FIRE HOUSE OF DELEGATES to be in session during the organization’s annual conference. This FIRE HOUSE OF DELEGATES is created for the purpose of discussing matters of policy and general welfare of this organization and to suggest changes for the annual conference of this organization to act upon. At the FIRE HOUSE OF DELEGATES the roll will be called and only designated delegates and alternates will be seated and recognized. The First (1st) Vice-President shall act as presiding Officer. The designated Delegate and the designated Delegate’s Alternate may be both seated with just one (1) vote per entity being allowed on each issue brought before the FIRE HOUSE OF DELEGATES. The Delegate and Alternate must be members of this organization in good standing and registered for the annual conference of this organization. Each entity designated in ARTICLE FOUR SECTION 1 being a member in good standing of this organization may be represented at the conferences of the FIRE HOUSE OF DELEGATES by its said Delegate or Alternate Delegate selected by such entity. The Delegate and Alternate Delegate may be the Chief, Assistant Chief, Officers or active member of the said entity who is also a member in good standing of this organization and registered for the annual conference of this organization. SECTION 2. The Secretary of the entities listed in ARTICLE FOUR SECTION 1 of these Bylaws on or before October 1 of this organization’s fiscal year, shall notify the Secretary/Treasurer of this organization of the name of the Delegate and Alternate Delegate to sit in the FIRE HOUSE OF DELEGATES. No Delegate or Alternate Delegate shall be entitled to represent said entity unless the name of said Delegate or Alternate Delegate has been sent to the Secretary/Treasurer of this organization as provided herein. Medical Services) and to suggest changes for the annual conference of this organization to act upon. At the EMS HOUSE OF DELEGATES the roll will be called and only designated delegates and alternates will be seated and recognized. The Second (2nd) Vice-President shall act as presiding Officer. The designated Delegate and the designated Delegate’s Alternate may be both seated with just one (1) vote per entity being allowed on each issue brought before the EMS HOUSE OF DELEGATES. The Delegate and Alternate must be members of this organization in good standing and registered for the annual conference of this organization. Each entity designated in ARTICLE FOUR SECTION 1 being a member in good standing of this organization may be represented at the conferences of the EMS HOUSE OF DELEGATES through its said Delegate or Alternate Delegate selected by such entity. The Delegate and Alternate Delegate may be the Chief, Assistant Chief, Officers or active member of the said entity who is also a member in good standing of this organization and registered for the annual conference of this organization. SECTION 2. The Secretary of the entities listed in ARTICLE FOUR SECTION 1 of these Bylaws on or before October 1 of this organization’s fiscal year, shall notify the Secretary/Treasurer of this organization of the name of the Delegate and Alternate Delegate to sit in the EMS HOUSE OF DELEGATES session. No Delegate or Alternate Delegate shall be entitled to represent said entity unless the name of said Delegate or Alternate Delegate has been sent to the Secretary/Treasurer of this organization as provided herein. SECTION 2. All dues for membership in this organization shall be paid to the Secretary/Treasurer of this organization. The Secretary/Treasurer of this organization shall certify to the annual conference of this organization the names of those who have paid their dues and are in good standing. SECTION 4. A quorum, except for the Special Meeting in lieu of an annual conference stated in Section 3 herein, shall be thirty (30) members in good standing of this organization and registered for the said annual conference. SECTION 5. The President of this organization shall be the presiding officer of the annual conference and shall preserve order and decorum; all questions of order shall be directed by the President, SUBJECT to an appeal to this organization. SECTION 6. ROBERT’S RULES OF ORDER shall govern all deliberations of this organization not otherwise provided for herein. SECTION 7. The words “VOLUNTEER FIREFIGHTERS” as used in these Bylaws shall mean those firefighters who volunteer their time to the performance of their duties as firefighter or emergency medical services (EMS) personnel. SECTION 8. Any Officer or Board of Directors member who shall cease to be an active volunteer firefighter during the term of office shall relinquish the Office and the position shall be filled by appointment of the Board of Directors, unless otherwise covered by these Bylaws. SECTION 1: Amendments to these Bylaws may be proposed by the Board of Directors or the Constitution, Bylaws, and Rules Committee.